“Searching for Sal” — A quest for the hole-in-one, and even more elusive truths. In the spirit of searching for a season — specifically the backlogged and waterlogged golf season — I suggest you fill your rainy, chilly wait with Searching for Sal by Rob Zaleski. The novel was published in 2012, but should serve the annual hope that springs eternal for the elusive hole-in-one. And for the hole in the sky that lets us see what might be beyond this life. The novel takes a light and deft touch with expansive, weighty matters and, for that, brings to mind Julian Barnes. Though she’s hardly a light-touch writer, Barbara Ehrenreich’s new book Living with a Wild God explores similar thematic territory. Zavoral’s personality, quirks, physical build and golf game closely resemble Zaleski’s. Like protagonist Z, author Z’s swing is “too wristy,” a flaw “he attributed to his baseball days.” Another of Nate’s golf buddies says he’s “ the world’s most pathetic head case” regarding “the yips” while putting (Ah, if only I was nearly as good a golfer as Rob.). 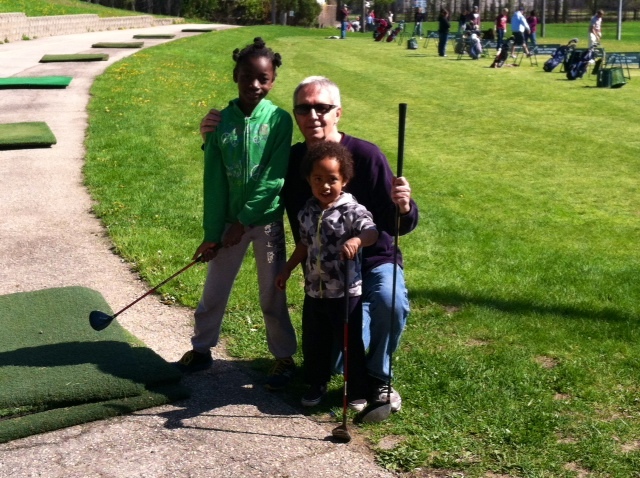 Author Rob Zaleski at Vitense driving range in Madison, WI, with his grandchildren Yani (from Sierra Leone) and Zale. So Nate’s a good test case for the mind-bending that ensues. In their quest towards the unanswerable question, Nate and Sal dream up a sacred pact: The first of them to die will assist the other in a hole-in-one…and thus signal existence of life after death — or not. Like many Catholic priests, middle-aged, pasta-fortified restaurateur Sal is as lusty as he is holy. So he drops dead of a coronary while fornicating with Connie Frataro, a young waitress from his Italian eatery, who resembles Marissa Tomei. Sure enough, Nate has barely wiped the tears off his driver when he knocks a ball off a wizened oak tree, which seemingly delivers it into the par-3 hole, for his first-ever ace. Holy pepperoni Batman! Is this really Sal, signaling from the Pebble Beach beyond? The rest of the novel becomes an allegorical search for the lost golf partner, and Zaleski plays a fun-house-mirror fantasy golf-course with it, but also sends poor Nate through the gauntlet. The metaphysical implications — and the public debate over them and the pact’s plausibility — swiftly gain the momentum of a Tiger Woods (in his prime) tee shot. Yet the pact’s story seems as dogged and as questionable as Woods’ own future. Nate, a modest high school English teacher, has to explain things on national TV to Jay Leno, now slack-jawed by more than bone mass. The tale swirls into virtual spoof territory by the time Nate is invited to a Peace Council gathering of international religious and spiritual leaders in Seattle, bejeweled with the likes of Archbishop Desmond Tutu and the Dalai Lama — and a video hookup with Pope John Paul II. That actually sounds like something the current Pope Francis would say. But that kernel of truth may underlie some of the more high-flown issues of this story. The empirical mystery appears solved with a twist of an ending, which contains genuine emotional power, and political resonance, especially for the situation of the young character introduced in the plot-turn. But are the bigger questions really answered? 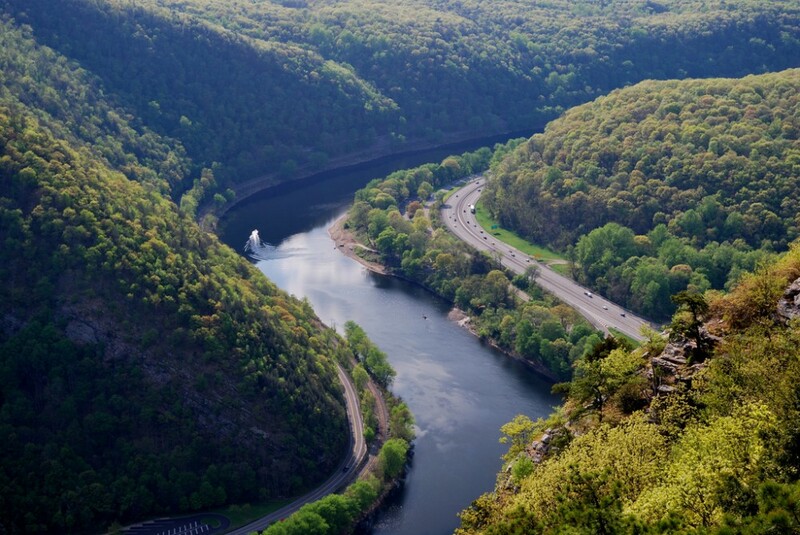 Throughout this quickly unfolding odyssey, Nate’s existential queasiness is steadied by his wife Brigitte — as rock-solid as the author’s real-life counterpart, Cindy — and by Rev. Mitch Crandall, who becomes his spiritual and political advisor, and is clearly based on the remarkable Rev. 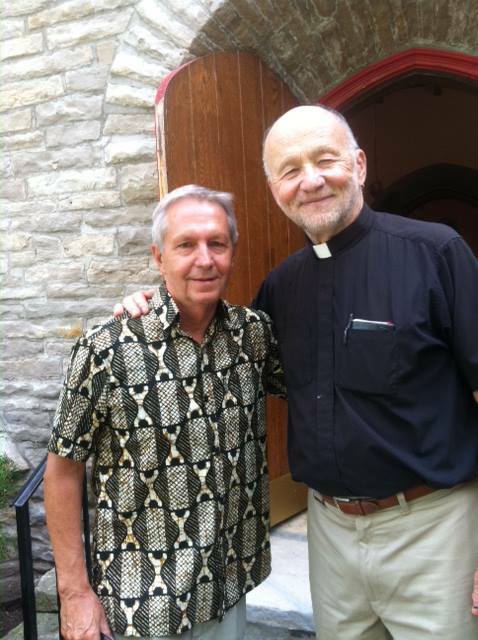 David Couper, a liberal former Madison police chief-turned-pastor. I came away from the book reflecting that once you think your tee shot has taken angelic wigs to the perfectly manicured promised land, something happens to shatter your sense of orderly and rational existence, and situational odds. The end may be no more conclusive than the image of Nate gazing at the sun-drenched sky, which adorns the book cover. There’s certainly a mystique to Nate’s shadowy little hole, and perhaps to the one all golfers aim for. Golfing metaphors can be as big as the ocean, and the life beyond, or as seemingly modest as something hiding in that small black hole, something with a life of its own. What we find might tell us a little bit about who we are for what we choose to chase in this life, and about what we might do once we discover what dwells in that hole, in the ground, and in the sky. Or try Searching for Sal. It carries your imaginary tee shot a long ways, into the sky and the shadows. * I describe myself as an agnostic, but I’m an occasional attender of Unitarian meetings, and quite open to human experience. I have had two strange occurrences in the last year that might, at some point, be explained empirically. Yet the notion that these events were “signs from a departed loved one” fits perfectly, just as each ghost might have it. Perhaps I will write about this some day. 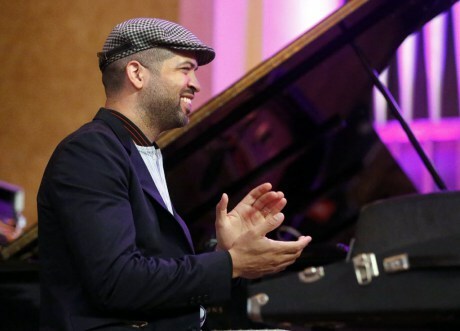 So, who is Jason Moran, really? Well, seems he took his MacArthur “genius” Fellowship and began messin’ with folks, in his latest musical project. 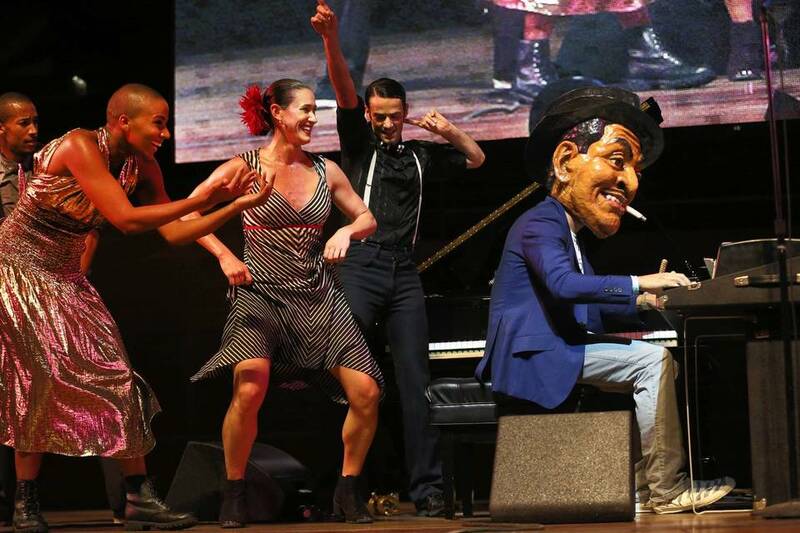 For part of the show, he transforms into the Harlem Renaissance pianist-singer-songwriter Fats Waller, wearing a giant caricature head. If you go, and shout out something about his head getting too big, he’ll be asking for it, with that get-up. But he might just grin and say “Yo’ feets’ too big!” as Fats would have, in one of his most famous songs. He’s also worked in multi-arts contexts, and is a collaborator. The giant papier-mache Waller head was designed for the show by Haitian artist Didier Civil. Moran conceived and first produced the Waller show in Harlem in collaboration with noted genre-bending bassist/singer Meshell Ndegeocello, who unfortunately will not be part of the South Milwaukee performance. There will be trained local dancers onstage for the show, though not those depicted in top photo, courtesy chicagotribune.com. Singer Lisa E. Harris will handle the vocals here, accompanied by Moran and his band. One senses the earnestly penetrating thought behind this interesting career turn, which skeptics might presume as little more than commercially motivated. Moran is one of the most impressive, ingenious and culturally-attuned musicians in jazz today, qualities which have earned him widespread acclaim including a MacArthur “genius” Fellowship. The pianist-composer’s jazz influences include Thelonious Monk, Duke Ellington and Andrew Hill, and now clearly, Waller. 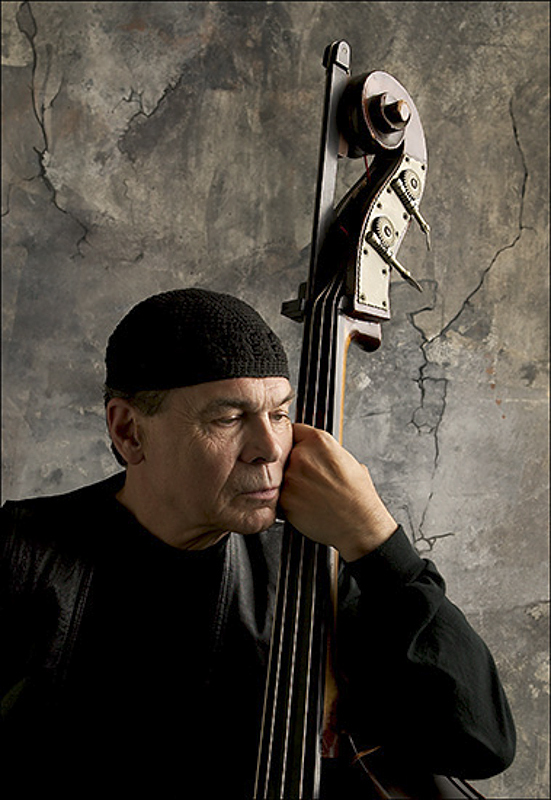 Moran’s last two CDs, TEN and the soulful duo album Hagar’s Daughter with saxophonist-flutist Charles Lloyd, were among the best jazz recordings of their respective years. Moran’s current show evokes the great stride pianist-entertainer in his prime era, the 1920s and early ’30s. And yet, this show is Waller updated with “rhythms coming out of 1960s-and-beyond dance music: Motown, house, hip-hop,” according to New York Times jazz critic Ben Ratliff. 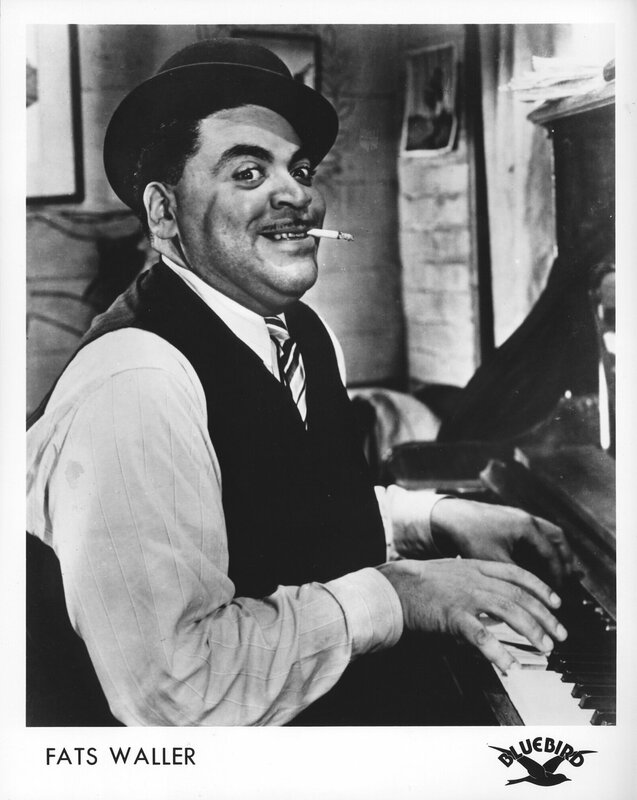 The Harlem Renaissance allowed urbane African American arts to flourish, and nobody did it with more flair, wit and virtuosity than Fats Waller. So party-goers might find themselves stepping into an easy speakin’ and jivin’ past, but find it all striding and hip-hopping to the present. 2 In South Milwaukee, besides Moran on piano and Harris on vocal, Moran’s band includes Leron Thomas on trumpet, Tarus Mateen on bass and Charles Haynes on drums. Trumpeter Jamie Breiwick’s show-opening group will include Neil Davis on guitar, Dustin Laurenzi on tenor saxophone, Isaiah Joshua on Fender Rhodes electric piano, Mike Harmon on bass and Devin Drobka on drums. Here is a photo of the premiere performance of Frank Stemper’s “The Persistence of Honor,” in the Netherlands in 2009. APRIL 12, 3 PM Unitarian Church, Carbondale, String Trio (2008), Southern Illinois Chamber Music Society. Go to Stemper’s site (above) for more information. Perhaps you haven’t heard of him, but Frank Stemper has built an auspicious career as a composer over his 30-year residency as director of the composition program at Southern Illinois University. He dwells beyond the fashionable circles of contemporary classical music which may catch periodic attention on NPR, or the rare forays of mainstream classical ensembles into contemporary repertoire. Well, listen up (and below), judge for yourself. Stemper carries a strong reputation in many parts of the world as well as the U.S. by following his own vision, one that’s not easily pigeonholed or even marketed. He is good enough to have been nominated for a Pulitzer Prize and a Grammy Award, and to receive an N.E.A. Fellowship. 1 He’s received enough honors and commissions to sustain a global reputation. And yet, the annual Outside the Box Festival of New Music he has long co-directed at SIU somehow reflects his own peculiar comfort area — out on the windswept fringes, perhaps not far from the precipice lurking over the tumble into obscurity. 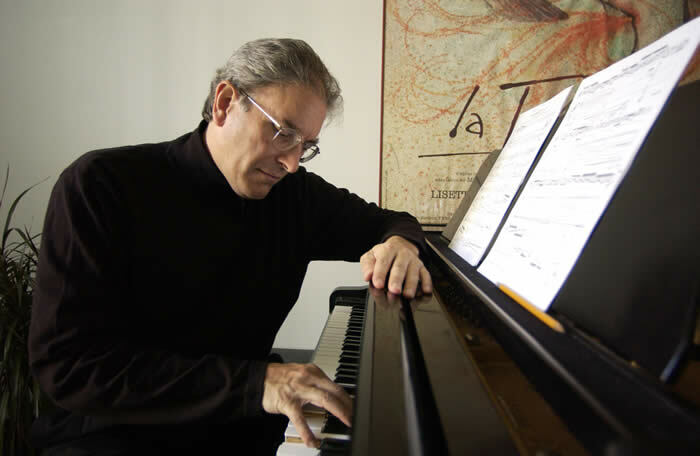 More specifically, Stemper has worked for many years exploring the formal and sonic possibilities of through-composed music in an expressionistic post-Schoenberg/Sessions/Carter mode and sometimes with strong jazz undercurrents (He began as a jazz pianist). Yet nothing has move me in Stemper’s oeuvre more than the “Persistence of Honor.” Though nominally programmatic, its emotional and dramatic power derives from pure orchestral music. The 10-minute work was commissioned and premiered by Het Wagenings Orkest ‘Sonante” in The Netherlands in 2009. A mysterious legato tonality creeps in with violins sustaining a high B, against which first the oboe interposes four notes a whole step higher, and the flute inserts a B flat, then two As and two more B flats, for a distinctly warped dissonance. This icy legato glaze is immediately “out there,” recalling Gyorgy Ligeti’s space music for 2001: A Space Odyssey. Then the solo cello enters to somewhat ground the music, with a mordant descending theme starting with a high flatted C (or B) 32nd note sliding into several B flats. So with the bitonal seconds (B against B flat) Stemper immediately creates a conflicted, ambiguous tonality that — by the time the cello completes its submerging line — begins to get under your skin. And then the primary rising melody arrives, a steadily repeated motif that you seem to get to know even as it changes slightly each time it is re-articulated. The motif illustrates Stemper’s composing process because, compared to many of his scores for larger ensembles, this score is relatively simple. “Composing for me is a process of drawing out the consequences (as I perceive them) of an initial idea … Once the idea has become specific enough, it begins to generate its own continuation…The sense of the large structure becomes increasingly clear as the work progresses.” This is actually a quote Stemper has appropriated from his mentor, the late composer Andrew Imbrie, who had a philosophy “in complete parallel to my own,” Stemper has said. But beyond the way the motif formally generates the music, you hear the melodic theme reaching, yearning, and pressing beyond itself to an outer edge that has a magnetic draw for the listener. The effect is like pulling you to an edge that may seem dangerous or uncertain as the pathway lengthens and blends into shadow. Considered in the political context the composer wrote it, a historical framework is evident. That is, the will for freedom by America’s body politic as a whole. A sense of Jesse Jackson’s idealized “rainbow coalition” quietly animates this music. It moves persistently, though not without struggle, and its foreboding sense of both past and the future harkens to Civil War-era leader Frederick Douglass’ great declaration, “If there is no struggle, there is no progress.” That combination of humility and willfulness — the persistence of honor — permeates this music and drives it forward into the imagination of the listener, and ideally the greater American public. The cello’s lower theme, a descending, querulous line fighting the tonality, signifies the undercurrent of struggle, the consciousness of darker forces, and the persistent challenge of the Obama era. At the six-and-a-half minute mark, “Persistence” wills itself to a new depth and breadth of intensity, and then retreats again to self-questioning. Here one senses it’s parallel to political reality in a polarized America. Troubled interior dialogue ensues, then the rising theme retraces its steps yet again in a lower, more oblique tonality leading finally to the work’s highest pitch at the end, like a signal to the future, or to a dream deferred now come to fruition, or failure. To the crux of the matter. Stemper’s “Persistence of Honor” will measure and stand the test of time. 1 I nominated Stemper for the Pulitzer as a music critic for The Capital Times. 2 Given that collaboration and a lifelong friendship with the composer, I provide full disclosure of my connections to Stemper. “Global Warning” was written for the extraordinary Korean pianist Junghwa Lee, who performed it in Carbondale in April with electrifying power and precision. Secondly, Stemper notes that “The Persistence of Honor” was composed before Barack Obama was elected, so the piece strives to pose musically the rhetorical question articulated by Charles Darwin: “Will honor rise above human evil, simply because it must in order for humans to continue?” Stemper is, however, profoundly impressed by what Obama has accomplished and stood for. 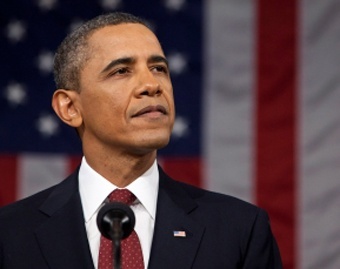 He adds his piece does address “how our country became a complete country with his election — finally.” As such, he expresses a remarkable and rare optimism, though he says he’s cognizant of the current Republican Party’s lack of articulated ideals and obstructionism. 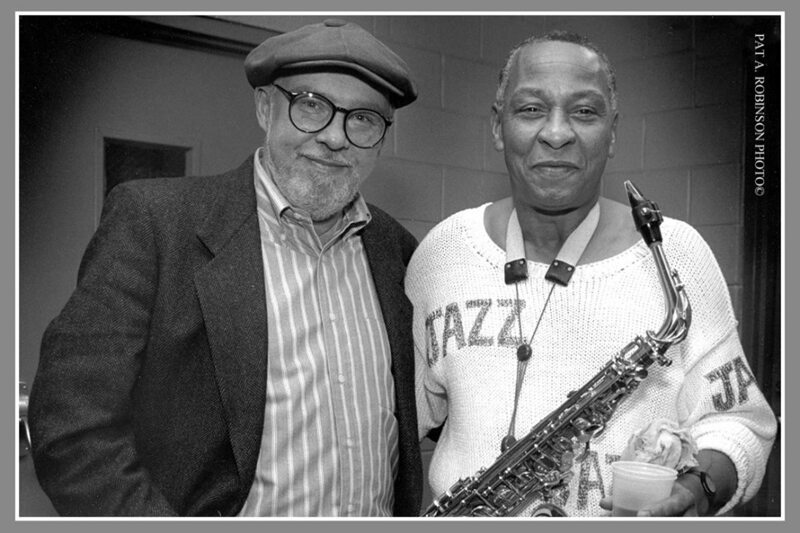 Ron Cuzner (left), an active champion of the local jazz scene, greets saxophonist Frank Morgan, who spent much of his early performing years in Milwaukee and returned to play at the original Milwaukee jazz gallery and other area venues. Photo (ca. 1990s) courtesy Pat Robinson. My recent remembrance of beloved and peripatetic Milwaukee jazz radio programmer Ron Cuzner prompted appreciative responses from various musicians and fans. However, Cuzner’s presence was too strong and distinctive to prompt simply benign recollections. Although most people appreciated the high and discerning quality of the straight-ahead jazz he played — except perhaps some advocating for more avant-garde music — there was a distinct difference of opinion on his one-of-a-kind announcing style. I wanted to reproduce at least two of these comments along with my responses to them because they are from two people whom respect. The first, a recent e-mail exchange which combines intimations of dissent with humor, is from Mitar Covic, who was better known as Mitch Covic when he played bass for a number of Milwaukee-area jazz groups and bandleaders in the 1970s, including Buddy Montgomery, Berkeley Fudge and What on Earth? Covic relocated to Chicago shortly after this collaborative efforts with Chuck LaPaglia at the Jazz Gallery when it opened in the late 1970s . The second message was taken from the comments section of my Culture Currents blog, and written by Mike Drew, a long-time Milwaukee journalist. Drew covered jazz for The Milwaukee Journal in the 1970s and perhaps the 1960s. In the late 1970s, the Milwaukee television and radio beat became large enough that Drew took it over as a full-time job. This left the responsibilities of covering the revitalized Milwaukee jazz scene to first, Bill Milkowski (a noted jazz journalist and author now based in New York), and then myself. Drew still writes about jazz as a freelancer. Thanks for the Cuzner reminder. Of course I was a listener if not always a fan of his style. Thanks for the anecdote. I’m doing a follow-up blog, collecting some musicians’ responses to the first piece. May I use yours? I think I recall you alluding to differences you may have had with Cuzner. This adds nice color to my little story. I remember sharing a toke once with Chuck and Dave Holland upstairs. However, I was not working that night. I had reviewed Holland the night before. You weren’t really a business partner, right? I was (not) a co-founder; that was all Chuck’s idea and capital. He cashed out a pension policy and sold his 30 foot sailboat to fund the place. A couple of years later, when the club was in financial difficulties, Cuzner put in a sizable chunk of money. I’m not clear what the deal consisted of, or even if there was a formal contract. You need to go to Chuck for that info. Later after years in the Bay area Chuck returned to Chicago but became reclusive, and he has been off my radar for many a year now, including what state he resides in. I reproduced Covic’s response to my last query so it is very clear that Chuck LaPaglia founded the Milwaukee Jazz Gallery on his own financial resources and initiative. 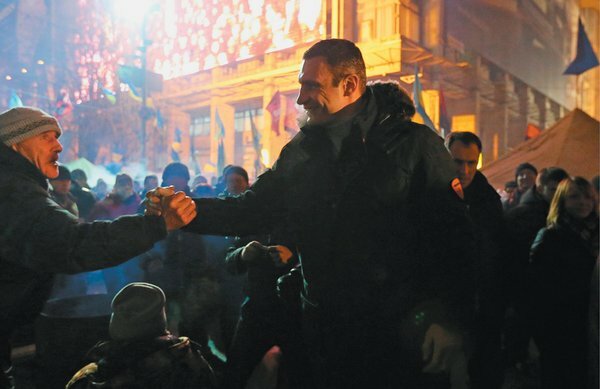 Yet the venue was a community-oriented concept which Mitar Covic contributed to. Chuck and Mitar had shared ideas about the gallery while working on programming and administrative aspects of Century Hall, an East Side Milwaukee meeting hall and arts venue in the 1970s. Kevin,I have been reading and enjoying your Ron Cuzner blog. Ron Cuzner was someone I listened to the entire time I was in Milwaukee. Being a late-night introvert I spent a lot of time listening to his music. Ron had the unusual ability to make the music come alive with words. During my time in Milwaukee I ran into a large number of people who claimed that Ron introduced them to,and educated them about jazz. Ron’s show and the Wisconsin Conservatory were two pillars of Milwaukee jazz that helped convince me to open the Jazz Gallery.Although I got a lot of advice and support from Ron when I first opened the club, he never offered any financial support. I can’t imagine that Ron would have had a “sizable chunk of money” laying around. It is true that after a couple of years I was in financial need, and there were numbers of people who donated monies to keep the club alive. Ron wasn’t one of them. As far as the myth about the gallery being “shot up” by a gang, the real story is as follows….One night, after the club had closed, an unusually belligerent drunk refused to leave. While I was upstairs counting the money the staff was downstairs dealing with the drunk. A friend of one of the waitresses decided to intervene and after some pushing and shoving (no punches were thrown) the drunk left the bar. About an hour later, I was upstairs relaxing with some of the staff including the waitress’s friend, when someone drove by and began shooting into the upstairs apartment. I went to the police but was never able to identify the drunk. The much maligned El Rukin gang had nothing to do with the shooting. Mitar was an important advisor in the early years of the Gallery. He was actually living at the Gallery and was my in-house counselor. (You may remember your first interview at the Gallery involved Mitch) When you talk to Mitar let him know that even though I’m 80 years, you don’t have to move that fast to catch me. He is right about my reclusiveness, but I only rate as a semi-recluse. I have always been a little introverted and shy, and I tend to withdraw from time to time. On the other hand my life has included intense interactions with the world. All part of being human. Here’s the second exchange of comments. Culture intersects naturally if uneasily with politics, which is why I’m compelled to note a few important readings I’ve done in news and cultural journals in the last few days because they resonate across our cultural spectrum. First, the seemingly indispensable New York Review of Books, offers up the most troubling and compelling single piece of contemporary geopolitical and historical journalism I’ve encountered in quite some time. The operative word of the title is fascism as in “Fascism, Russia, and Ukraine” by noted Yale history professor Timothy Snyder. He zeros in on the current geopolitical crisis in Crimean Ukraine with chilling insight into how Russia (read powermonger Putin) and the Ukrainian government have conspired in asserting a far-right policy of so-called Eurasianism, as a serious and seemingly far-reaching political saber rattle with the European Union. He also explains the complexities of these ideological deceptions wherein we find the new and politically savvy fascists labelling their protesting and opposing contingencies as so many Nazis. It brings to mind Hannah Arendt’s still-controversial and yet seemingly provocative comments about “the banality of evil.” Evil seems less banal today yet still conspires, in its new ways, to politically anesthetize us. I urge you to read Snyder’s piece, contemplate it, and act as you see fit. It parallels Snyder’s concerns that international geopolitics are so chaotic and rife with corruption and moral compromise that we need maintain our guard more than ever. It’s a sad commentary that Kristof’s number two question — which leader has the higher domestic approval rating, Putin or Obama? — will reveal that Putin, after stealing Crimea rates higher with his public than Obama, after achieving quasi universal healthcare.